CENS had a busy month in April, attending nine international trade shows to promote buyer guides to help manufacturers, exporters and traders to build global presence, including Light + Building International Trade Fair, Hong Kong International Lighting Fair (Spring Edition), Hannover Messe, Automechanika Istanbul, Hong Kong electronics Fair (Spring Edition), Asian Lighting & Consumer Electronics Exhibition (Guangzhou), Auto China (Beijing), Chinaplas (Shanghai), and Hong Kong International Printing & Packaging Fair. Light + Building International Trade Fair, a leading fair for lighting and building-services technology, was held Mar. 30-Apr. 4 in Frankfurt, Germany. CENS booth draws many visitors at Light + Building International Trade Fair. 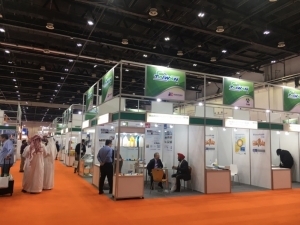 The biennial event covers lighting, electrical engineering, house and building automation and software for the building industry, drawing this year 211,500 visitors from 161 countries. The number of visitors went up 8.14% from 2012's 195,582 and global representation rose three percentage points to 47%, meaning that almost one in two visitors came from abroad. The best represented visitor nations after Germany were Italy, the Netherlands, France, China and Austria. There were also significant increase from numerous expanding markets, such as Russia, South Africa, Mexico, Turkey, and Indonesia. Particularly striking was the return of visitors from South Europe with high double-digit growth rates. Besides, Light + Building 2014 saw the number of exhibitors hit a new record of 2,458 for an increase of 7% over 2012's 2,302 exhibitors. “Light + Building is in a class of its own when it comes to lighting, light design and the future-oriented field of building and energy management. Over the last six days, manufacturers have demonstrated the great energy-saving potential offered by the use of innovative, market-ready technologies,” says Wolfgang Marzin, president and chief executive officer of Mess Frankfurt. CENS representative (center) with buyers at Light + Building International Trade Fair. The spotlight of the show was on energy efficiency, a vital aspect of the shift away from nuclear energy, which is frequently neglected in the public debate. In this connection, the industry offers innovations and solutions that not only reduce a building's energy consumption through intelligent building-services technology, but also increase the level of Comfort. These innovative solutions are not only ecologically worthwhile and also offer economic incentives. CENS sent a circulation specialist to promote buyer guides, with CENS Lighting being most welcome. 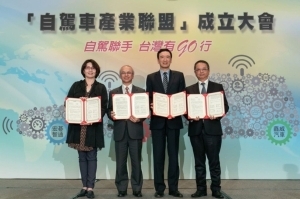 The 2014 Hong Kong International Lighting Fair (Spring Edition), held April 6-9 at the Hong Kong Convention & Exhibition Center, attracted more than 18,000 visitors from 112 countries and nearly 1,100 exhibitors from 14 countries, a new exhibitor record for the fair. 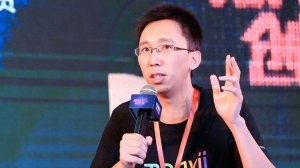 Hong Kong Trade Development Council (HKTDC) Deputy Executive Director Benjamin Chau noted that buyer attendance from the United States, Canada, Italy, The Netherlands, Thailand and Poland recorded double-digit percentage growths. Jim Hardaway, vice president of lighting brand Viribright, said he expected business to grow by 20% despite the continuing drop in LED prices, thanks to improving market conditions in Europe and North America. He met with key buyers from the Middle East, Spain, Mexico and Australia, all interested in green lighting products and high efficiency LED lighting. Spanish buyer Francisco Jose Garcia Campuzano sourced LED lighting products on his first visit to the fair, saying that LED lights are preferred in the Spanish market because of longer lifespan and higher luminance. 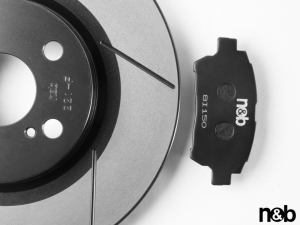 “Quality is our priority when it comes to LED lighting. We have seen many suppliers who can meet our requirements, so we are confident that we can find suitable suppliers,” he said. 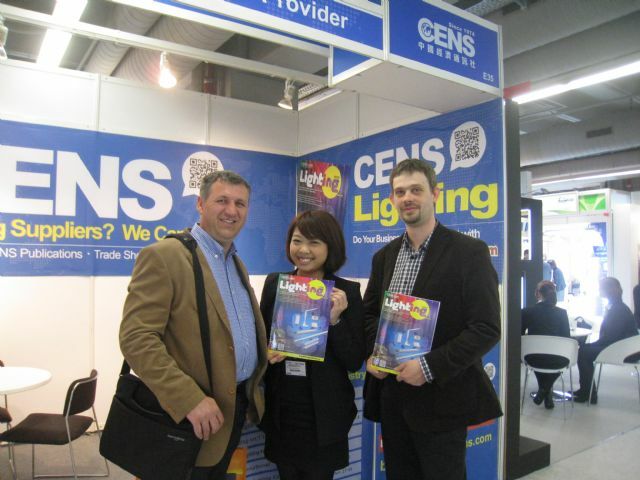 CENS representative (right) with a foreign buyer at Hong Kong International Lighting Fair. As usual CENS organized an exhibition group to attend the fair and its own booth displayed a variety of buyer guides, with CENS Lighting capturing ample attention among buyers and visitors. Hannover Messe 2014, held Apr. 7-11 in Hannover, Germany, featured seven leading trade fairs under a single umbrella and created a platform for the interplay between all relevant sectors and technologies. The key industrial sectors displayed individual strengths and at the same time engaged in interdisciplinary knowledge transfer. The five-day event attracted more than 180,000 visitors from more than 100 nations, matching the strong performance of 2012. 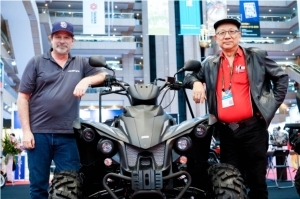 Another standout feature involved the high percentage of industry professionals and top buyers and decision-makers among attendees. This year Hannover Messe Partner Country was the Netherlands, with 250 companies coming from the country for a new record for Partner Country participation. CENS representative helps buyers fill out CENS inquiry forms at Hannover Messe. The CENS booth caught considerable attention with its buyer guides, including CENS Hardware, CENS Furniture, CENS Lighting, Taiwan Industrial Suppliers, Taiwan Machinery, Taiwan Transportation Equipment Guide and Guidebook to Taiwan Hand Tools. 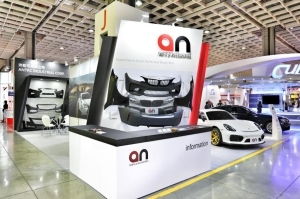 Automechanika Istanbul is Turkey's leading international trade fair for the automotive industry and Eurasia's No. 1 OEM and aftermarket event. This year the fair, held Apr. 10-13, entered its eighth edition and closed with record numbers: 1,475 exhibitors and 44,469 visitors from all around the world. 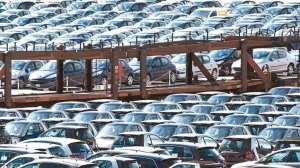 “Automechanika Istanbul 2014 highlighted Turkey once again as a global automotive production and supply platform. We are proud to have organized such a professional and international fair and the satisfaction of all participants confirms to us that the investments made in the concept and promotion of the fair were the right ones,” stated Alexander Kuhnel, general manager of Hannover Fairs Turkey, one of the organizer companies. CENS booth draws many visitors at Automechanika Istanbul. The exhibitors from 40 countries offered products in six different categories: parts & components, electronic systems, accessories and tuning, repair and maintenance, information technologies & management, service stations & car wash. In addition, 18 national pavilions highlighted the show, including Austria, Argentina, China, France, Germany, Hong Kong, Italy, Romania, Pakistan, Mexico, Singapore, Slovenia, Serbia, Spain, Taiwan, Tunisia, the U.S., and U.K.
CENS representative (second from right) with buyers at Automechanika Istanbul. The CENS booth caught ample attention among buyers and visitors with its buyer guides, particularly Taiwan Transportation Equipment Guide, China Transportation Equipment, and Taiwan Industrial Suppliers. 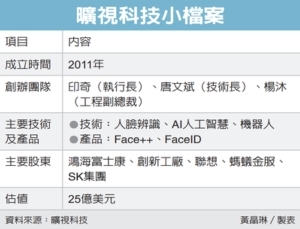 Hong Kong Electronic Fair (Spring Edition) is usually held together with the International ICT Expo. This year the two annual fairs, held Apr. 13-16 at the Hong Kong Convention & Exhibition Center, drew more than 3,300 exhibitors from 25 countries, a new record for the twin fairs. The four-day event attracted more than 92,000 visitors from about 140 countries. 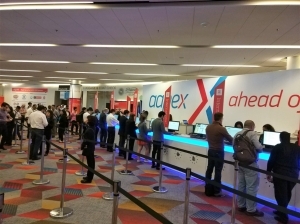 Aside from Hong Kong, the majority of buyers were from the Chinese mainland, Taiwan, the U.S., Japan, South Korea, Russia, India, Australia, Germany and U.K.
At the Electronics Fair, visitor numbers from most of the Asian countries rose, including those from India, China, Singapore and Taiwan. Buyer participation from several emerging markets posted double-digit growth rates, including the United Arab Emirates, Iran, Poland and Colombia. Visitors browse CENS publications at Hong Kong Electronics Fair. 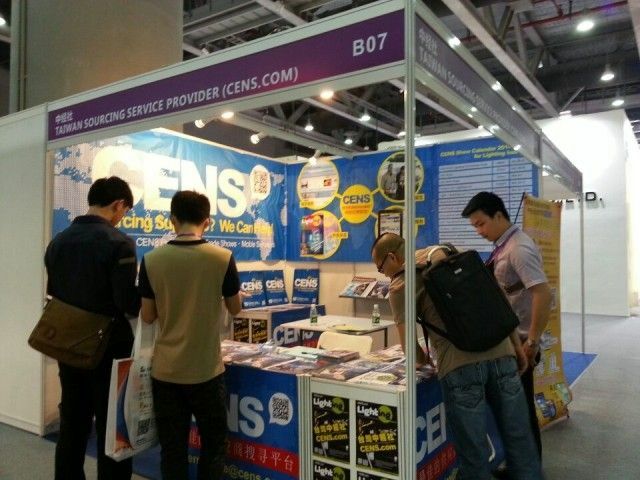 The CENS booth displayed a variety of buyer guides with Taiwan Industrial Suppliers and Taiwan Export Express proving to be the most popular. Asian Lighting & Consumer Electronics ExhibitionEyeing the vast business opportunities available in the burgeoning lighting and electronics industries in China and global markets, the trade show organizer Guangzhou Grandhub Exhibition Co., Ltd. and Mega Expo (Hong Kong) Ltd. together launched the new trade fair "Asian Lighting & Consumer Electronics Exhibition" in Guangzhou of China in April this year. The fair debuted Apr. 14-17 at the Poly World Trade Center Expo, Pazhou, Guangzhou and drew exhibitors from all over Asia to promote to buyers from home and abroad. 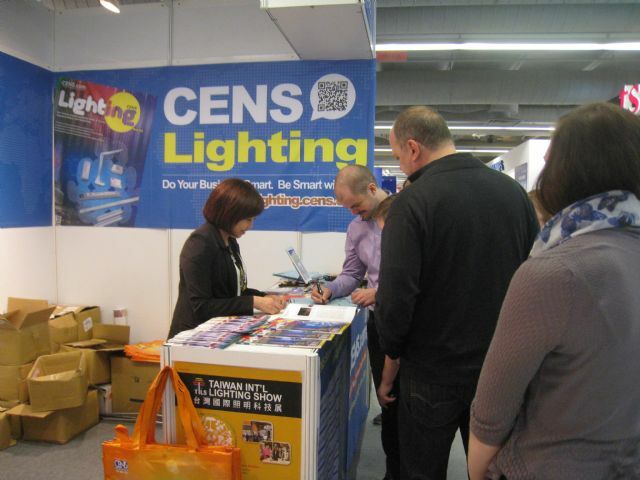 CENS did not miss the new trade fair and sent a local representative to promote its sourcing magazines, with CENS Lighting and Taiwan Industrial Suppliers being most welcome. Auto China Beijing International Automotive Exhibition, also known as Auto China and organized every two years, is globally recognized as one of the most important auto shows in the world. 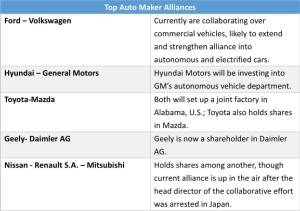 Thanks to the huge automobile market in China and rapid growth of the Chinese auto industry, Auto China has improved gradually in terms of global representation, quality of exhibits, and expanded global influence. This year the show attracted an audience of 85,000. More than 2,000 exhibitors from 14 countries attended Auto China 2014 to display 1,134 finished automobiles, including 118 world debuts. This exhibition showed not only 71 concept vehicles, but also trend-setting products, including 79 new-energy vehicles, which are mainly pure electric automobiles. 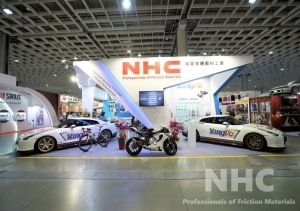 All the exhibits focused on new achievements and breakthroughs, particularly electric automobile safety of utmost concern to customers and new-energy vehicle development. 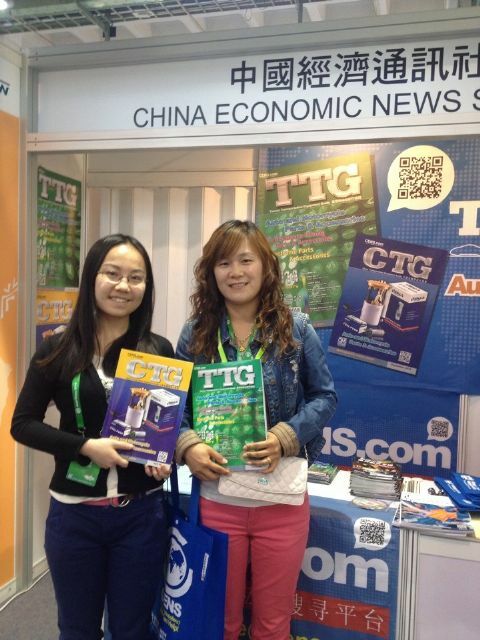 Visitors with CENS buyer guides at Auto China. CENS sent a local representative to promote buyer guides, with Taiwan Transportation Equipment Guide, China Transportation Equipment Guide, and Taiwan Industrial Suppliers drawing ample attention among buyers and visitors. ChinaplasChinaplas is Asia's No. 1 plastics & rubber trade fair. CENS representative (left) with foreign buyers at Chinaplas. Held Apr. 23-26 in Shanghai, China, Chinaplas 2014 set a number of new records. The four-day event attracted 130,370 visitors, up 14.26% as compared with last year in Guangzhou and a new record since its debut in 1983. With the exhibition becoming increasingly international, the number of overseas visitors soared 19.73% to 36,841, which accounted for 28.26% of total visitors, coming from 143 countries, mainly Hong Kong, India, Indonesia, Iran, Japan, South Korea, Malaysia, Taiwan, Thailand, Russia, etc. The number of domestic visitors maintained a strong figure of 93,529 with an increment of 12.24%. 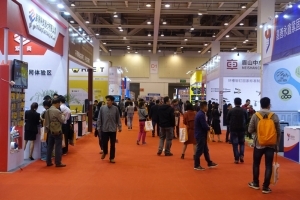 Besides, Chinaplas 2014 also set new records in terms of exhibition scale and number of exhibitors. Over 3,000 exhibitors from 39 countries attended the show, of which over 400 were new to the show. In addition to occupying 17 exhibition halls in Shanghai New International Expo Center (SNIEC), 13 additional outdoor halls and six exhibition suites were also set up at the Central Square of SNIEC, resulting in a total exhibition area of over 220,000 square meters. 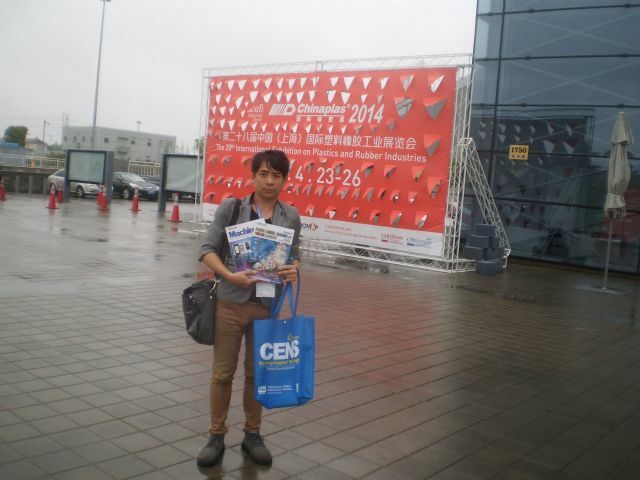 CENS representative with CENS publications at Chinaplas. 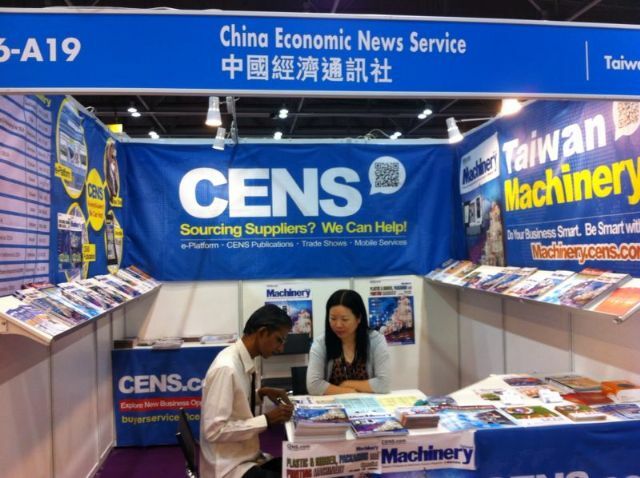 The CENS booth displayed various buyer guides, with Taiwan Machinery and Taiwan Industrial Suppliers being very popular. Hong Kong International Printing & Packaging Fair is recognized as one of the most important international shows in the industry, also being a one-stop shop covering everything from printing & packaging solutions, materials selection to logistics services. This year the fair was held concurrently with the Hong Kong Gifts & Premium Fair held Apr. 27-30 at the Hong Kong Convention and Exhibition Center and Asia World Expo, respectively. The two fairs drew 4,500 exhibitors from 35 countries and more than 65,000 visitors and buyers from 151 countries, with overseas buyers up by 6%. Buyers from Asia, including the Chinese mainland, Taiwan, India and Indonesia, recorded double-digit percentage growth. Traditional markets such as Japan, the United Kingdom, South Korea and New Zealand also recorded significant growths. Vicky Chang, director of Taiwanese exhibitor Miccudo Multimedia Co., Ltd. at the gift fair, said that the company's creative index stickers and mini-sized pot plants had drawn strong interest from European buyers, including those from France, Belgium and the Netherlands. Hong Kong's i-Deal Print Ltd., an exhibitor at the printing fair's new Green Printing & Packaging Solutions Zone, specializes in food and beverage packaging. Karen Choy, the company's key account manager, said that i-Deal's food-grade paper and biodegradable paper products were well-received by fair buyers from the Chinese mainland, Hong Kong, Southeast Asia, Europe and the Middle East. CENS representative helps a foreign buyer fill out CENS inquiry form at Hong Kong International Printing & Packaging Fair.